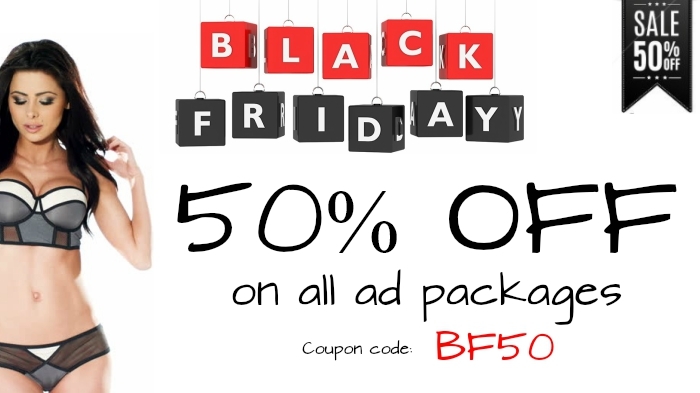 Get 50% OFF on all Ad Packages, use the coupon code BF50 at checkout. So How Much Does It Cost? - Figure This! We want to keep our customers happy and satisfied with our services. We value the trust you have put in our services and would like to thank you for that. We appreciate your business and hope to keep you in our long list of satisfied and much valued customers. We wish you a beautiful Thanksgiving filled with all good things. Log in or register to post comment.